A Farm Life. 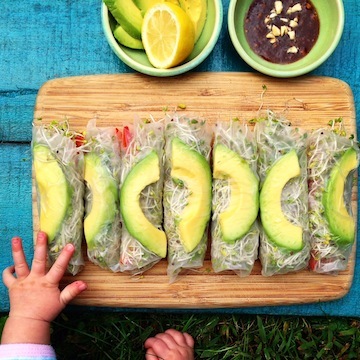 | Eat More Plants. It’s that wonderful time of year that I’m outside all day, hence the lack of posts. From now until October, you can find me with my work gloves on, a floppy sun hat and muddy boots. I planted a plethora of fruits and veggies this week. And my berries finally arrived! 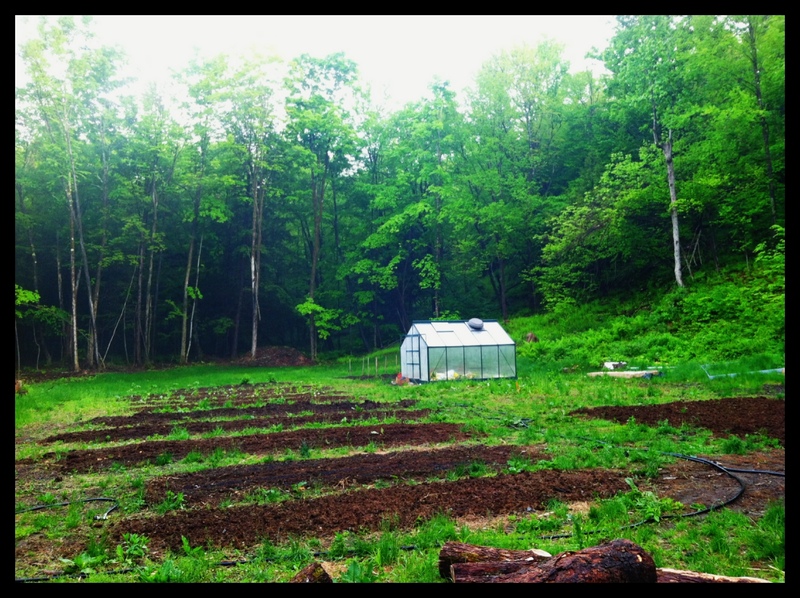 We filled in the first third of our orchard space with blueberries, blackberries and red/yellow/black raspberries. I can’t wait until a few years go by and they’ll be producing more than I can eat in a sitting…hoping to have my freezer packed with berries…! I didn’t want to go completely crazy all at once so I think each year for the next few years I’ll add a dozen or so blackberries and blueberry bushes. This was my harvest from the other day. 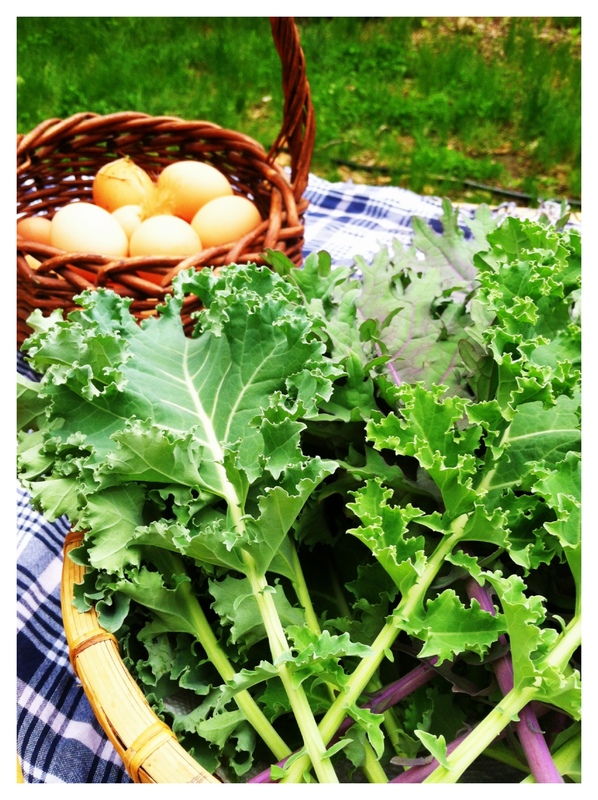 A basket full of kale from the greenhouse and a basket full of eggs from my ladies. Our new chicks will be arriving in June & July! Can’t wait to see the blue and green eggs. On a typical day we collect a dozen eggs from our thirteen hens.